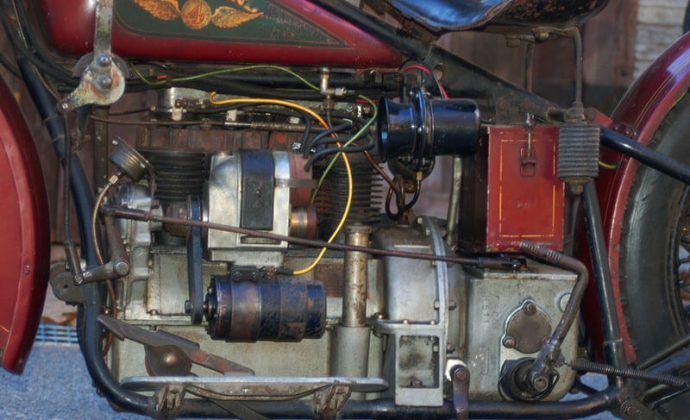 Cleveland was a relative newcomer to the American 4-cylinder game, who established themselves in 1915 with a single-cylinder two-stroke with its motor turned 90degrees to the frame. 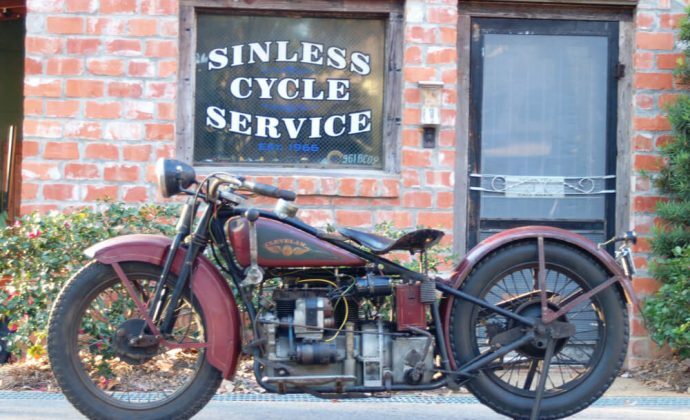 In 1922, the marque bought out Reading Standard’s motorcycle division, who were best known for reliable v-twins. 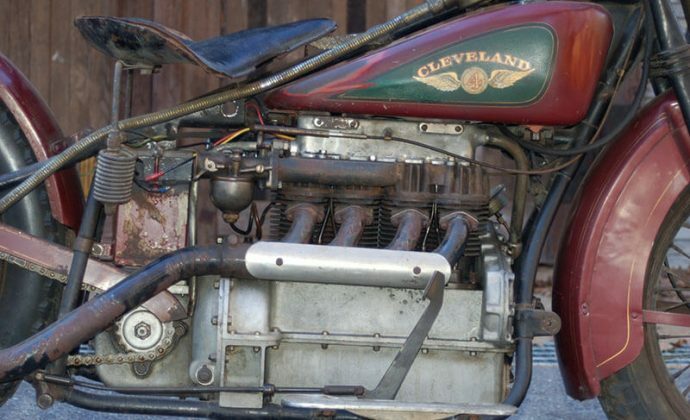 Cleveland didn’t produce a v-twin, though; instead they hired Detroit engineer L.E. 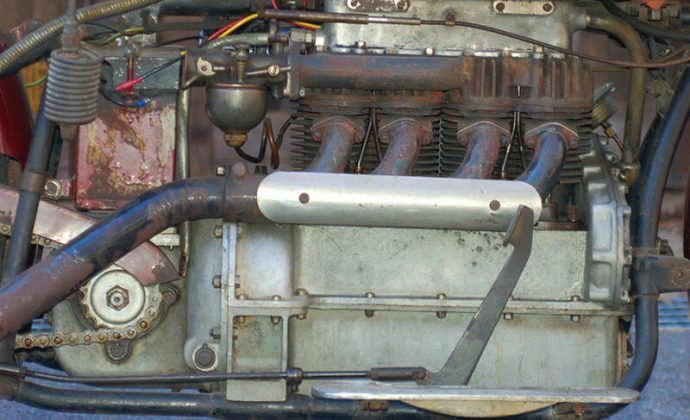 Fowler, and introduced in 1925 a newly design inline 4, which initially used a sidevalve T-head design of 598cc, about half the capacity of its rivals at Ace and Henderson. The small capacity of the new 4, and its inefficient T-head, meant the Cleveland 4 was much slower than its rivals, so it was back to the drawing board. 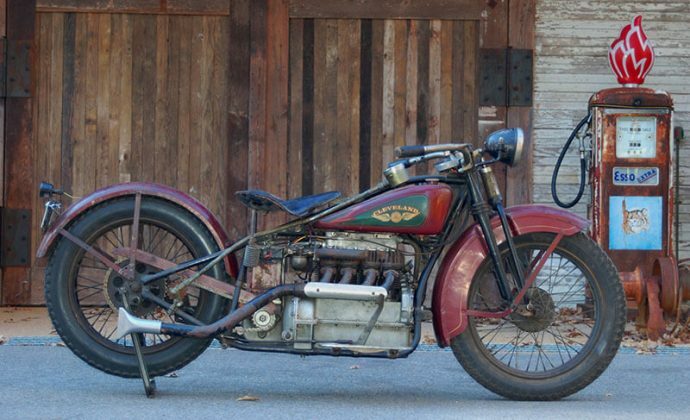 In 1926, an new 4-cylinder design by E.H.Delong debuted, which used a more powerful IoE valve design, and an increased capacity of 750cc (45cu”). One year later, a full 1000cc (61cu”) model was introduced, which compared well to its rivals in every regard. Still, the American motorcycle industry was in the throes of a great culling, in which the hundreds of marques competing in the ‘Noughts and ‘Teens were rapidly reduced to just a few by the late ‘20s, and Cleveland offered itself to Harley Davidson, as a ready-made competitor to Indian’s new 4-cylinder machine, after they purchased and rebadged the Ace 4. Harley declined, thinking they’d make their own 4, which has yet to appear. 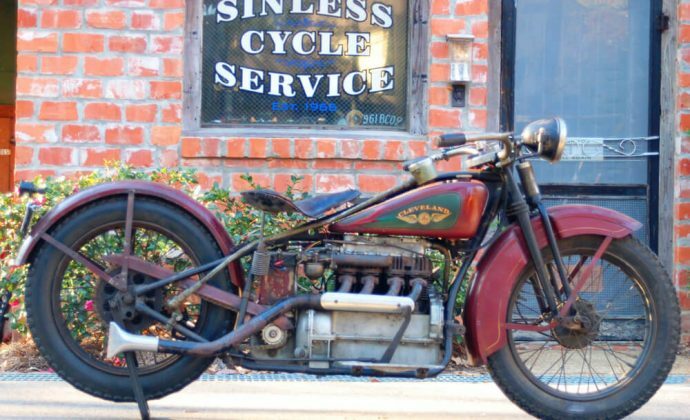 In 1929, the Cleveland 4 was completely redesigned as the Tornado, with a lowered top frame tube, streamlined tanks, larger valves, a higher compression ratio, and a more modern look. The new Tornado was good for 90-95mph, and was certainly the equal or better of any other American 4-cylinder machine, with a look suggesting its great speed potential. A Century model was available with a guaranteed 100mph potential, which was serious business in 1929; only George Brough dared offer such a guarantee! Sadly, though the Tornado was a great motorcycle, the Wall St crash of 1929 killed off Cleveland. and original paint, with a glorious patina, in fully correct specification.